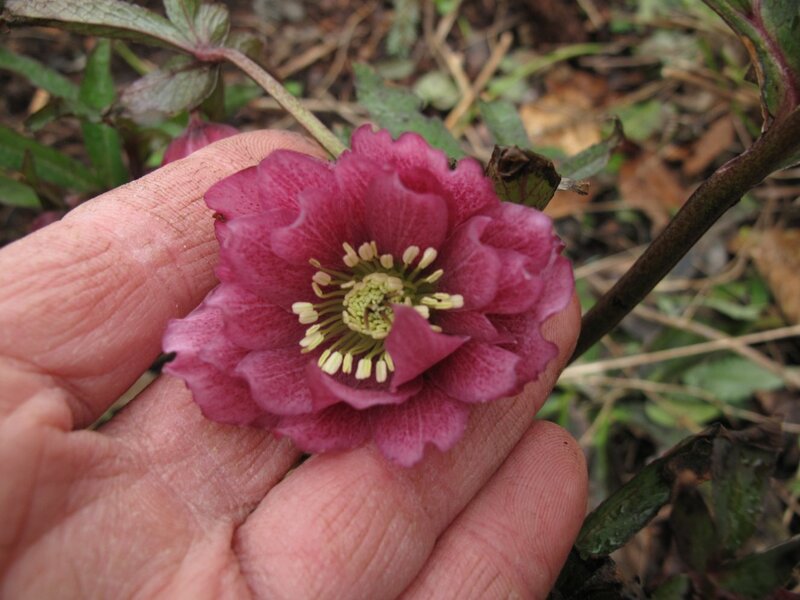 Walking around the garden today looking for signs of bloom brought a few surprises among the expected early bloomers. 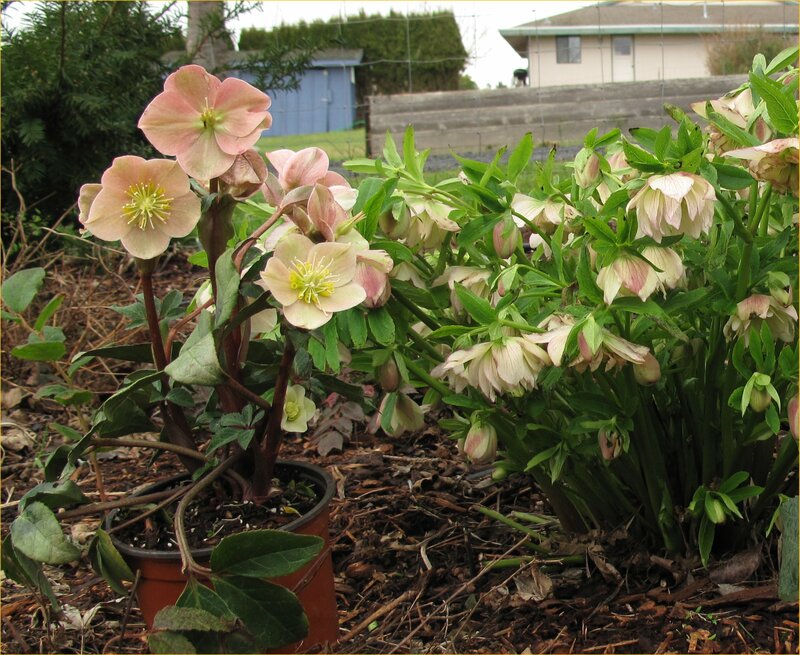 Hellebores, always reliable (and not the least surprising) are a welcome sight as our grey, wintery Puget Sound days slowly lengthen. New stems emerge laden with buds over last year’s blackening leaves. I usually wait to see the swelling buds before cutting away the spent leaves. When the flowers finally open the newer leaves are still relatively small, which makes them less likely to vie for attention with drooping flowers. Later in the summer the large, heavily serrated leaves are the dominant feature of the plant. Because of their nodding habit the flowers deserve closer inspection. 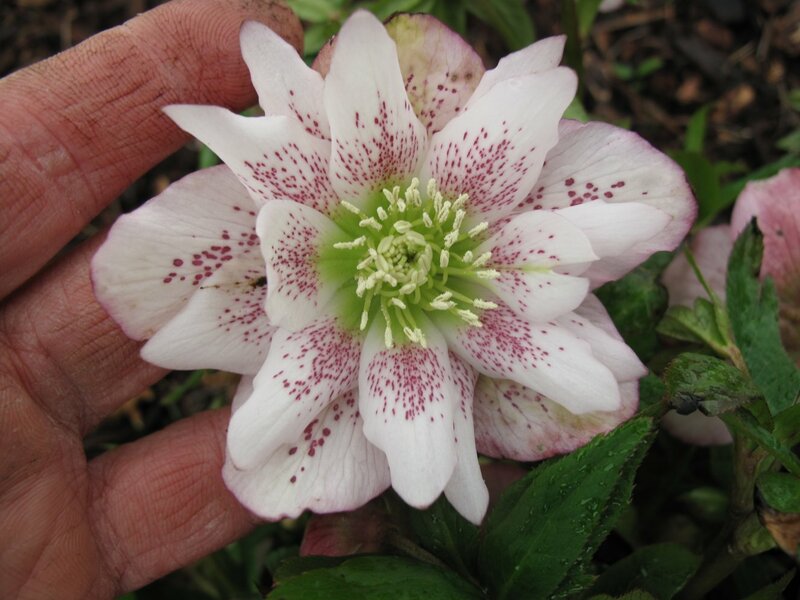 Newer Hellebores showing up in the nursery trade continue ascending upward, as the breeders work mightily to remove their nodding habit from the plant’s history. 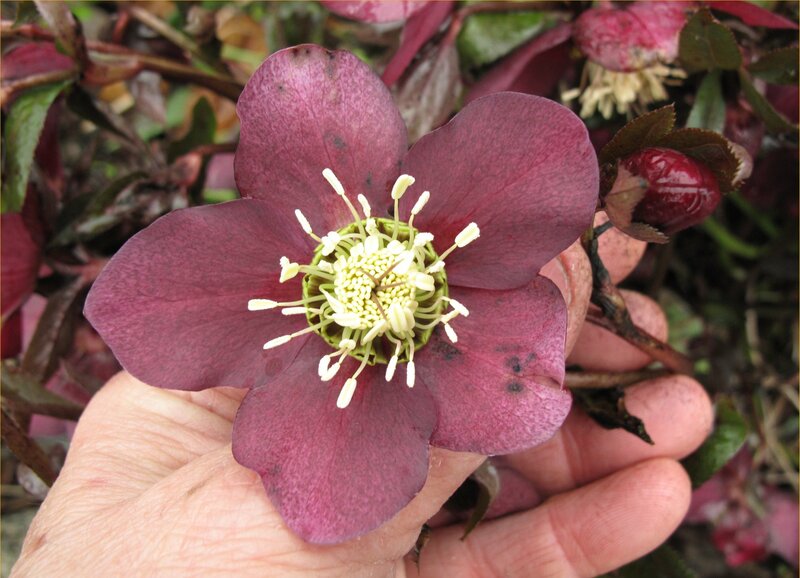 Droop no more is the Hellebore breeder cry! 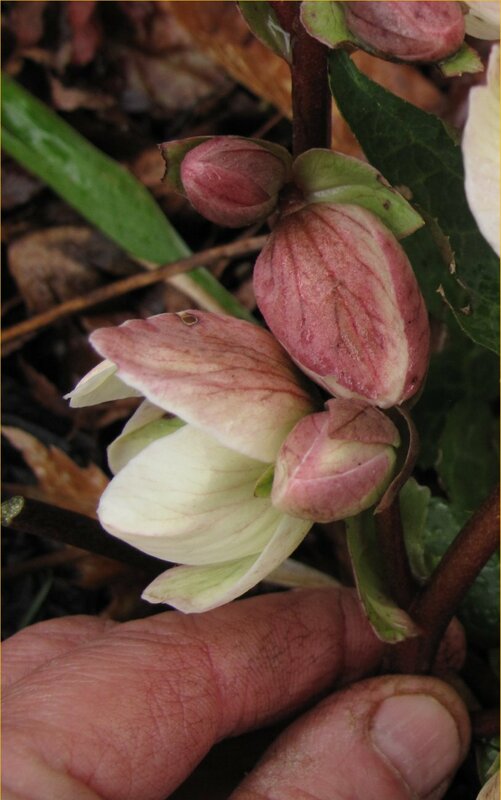 The recently purchased Cinnamon Snow cuItivar, still in the growers pot in the above photo, stands tall besides the older Hellebore clump. Time will tell if it reverts back to the familiar drooping habit. 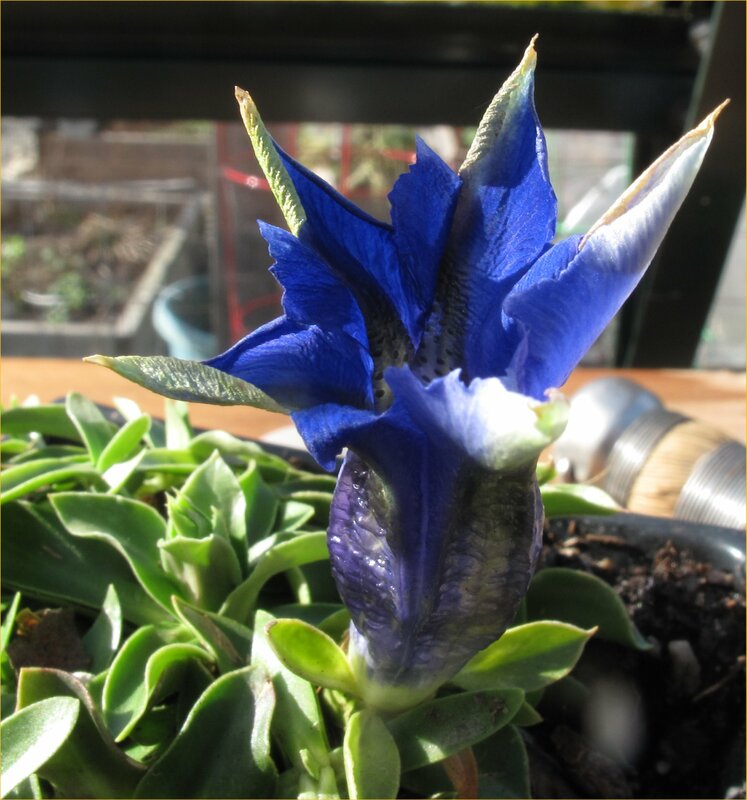 While the Hellebores were the stars of the garden, an alpine plant in a four inch pot started blooming early in the greenhouse. 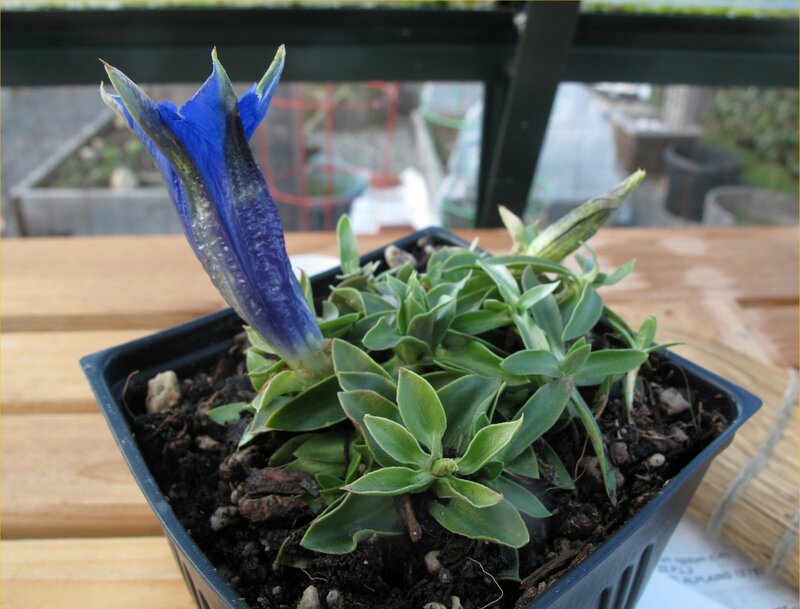 This Gentian, Gentiana acaulis ‘Holzmann’ is destined for a new hypertufa trough I’m hoping to get make later this spring. Erica canaliculata, a South African Tree Heath, too tender to survive reliably in my neck of the woods, continues to bloom in a pot. Up close the tiny blooms are a nice surprise. 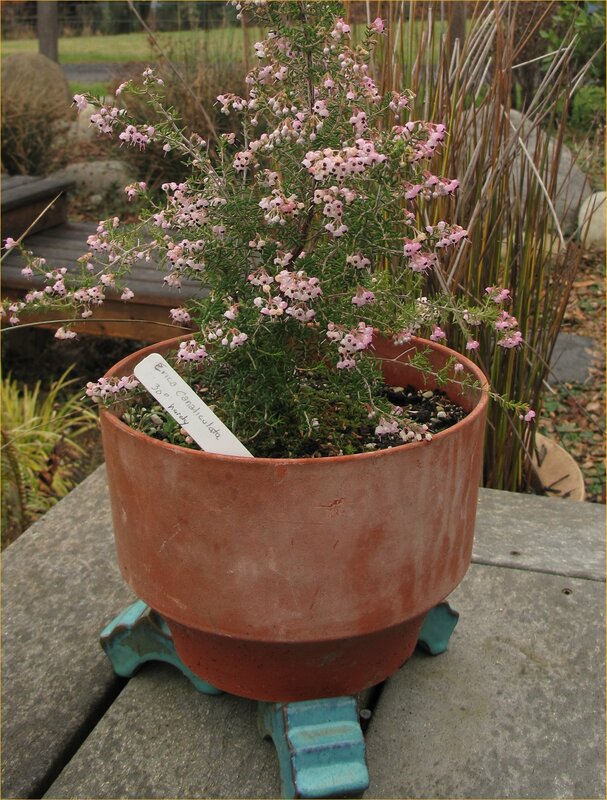 We’ve had a few hard freezes this winter that might have threatened the small potted Heath. Fortunately it was easy to grab the Tree Heath pot and bring it inside our mudroom for protection. In a warmer climate this would be unnecessary. On the other hand, if you live where it seldom freezes, beware of planting it into your garden. 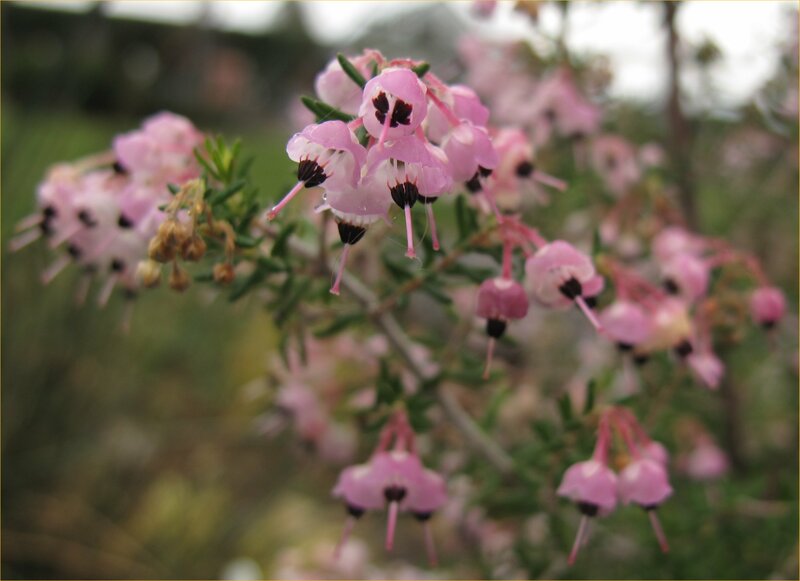 In Northern California, Erica canaliculata has escaped from cultivation and threatens native species. At the Golden Gate National Recreation Area, in Marin County, it has justifiably earned the reputation as a noxious weed. 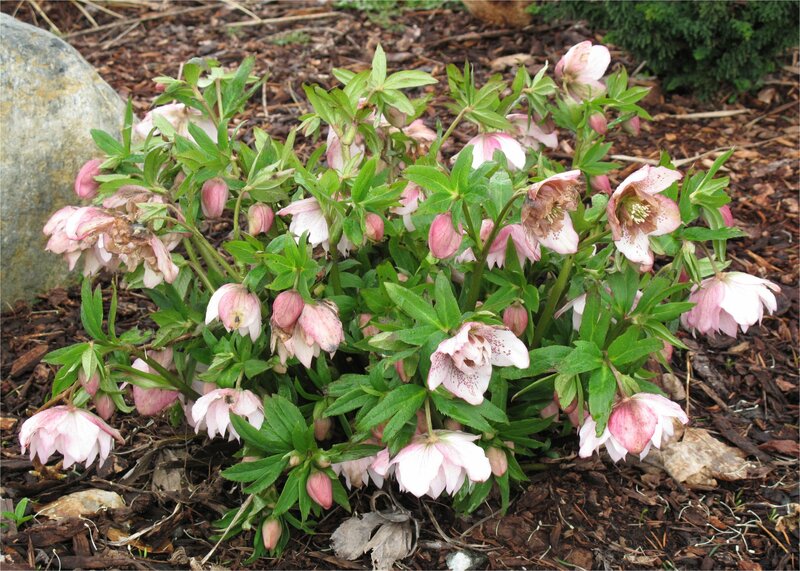 This entry was posted in Plant Picks and tagged Erica canaliculata, Hellebores, Helleborus x ballardiae 'Cinnamon Snow', Lenten Rose by Bart Arenson. Bookmark the permalink. 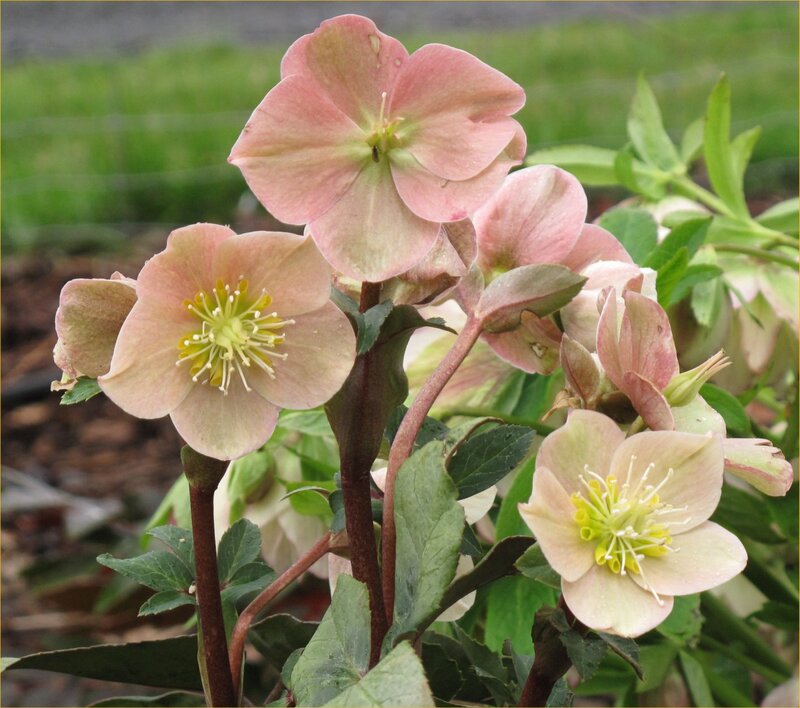 Nice hellebores. I planted some last fall – I hope they survive this long winter.